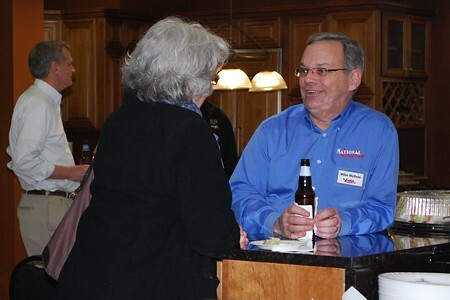 On April 16, 2014, Kitchen Views at National Lumber and Allstate Glass hosted an EM NARI Networking Event at the Kitchen Views showroom in Mansfield, MA. Please check out Brandy Souza’s Kitchen Views blog posting for more information. There are lots of event photos available on our Facebook and Google+ sites. Did you know? Our insulation installers deliver outstanding results. Pro Insulators delivers the difference between insulation products and outstanding results. 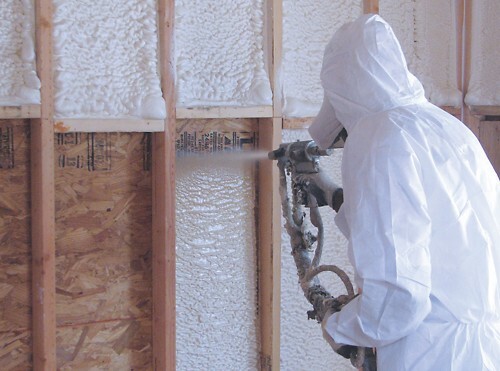 Our insulation installers specialize in fiberglass batts, blown-in fiberglass, and spray foam insulation. Having the right specialists on your team can keep a project running smoothly as they apply their specialized experience to your building project. Just as you have traditionally subcontracted work to a trusted plumber as part of your team, you can hire the insulation installers of Pro Insulators (HIC #161268), a division of National Lumber. Building code compliance and OSHA safety compliance are met when you hire Pro Insulators. We have all the proper safety and work equipment. Most importantly, we are up-to-date on meeting codes for energy efficiency and current building standards. Whether your project is residential or commercial, new building or a retro-fit project, we have the products and installation expertise you need. 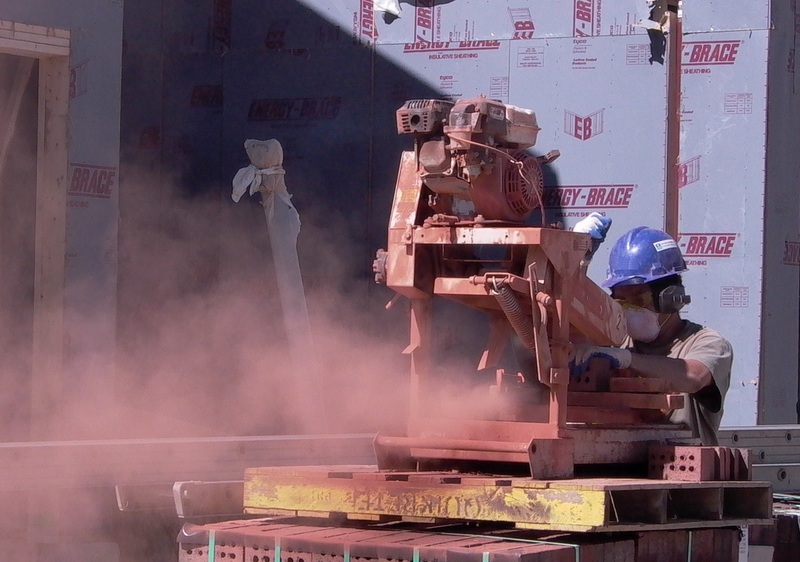 Whichever type of insulation you choose, our professional team of experts will leave your jobsite clean and ready for your next phase of construction. 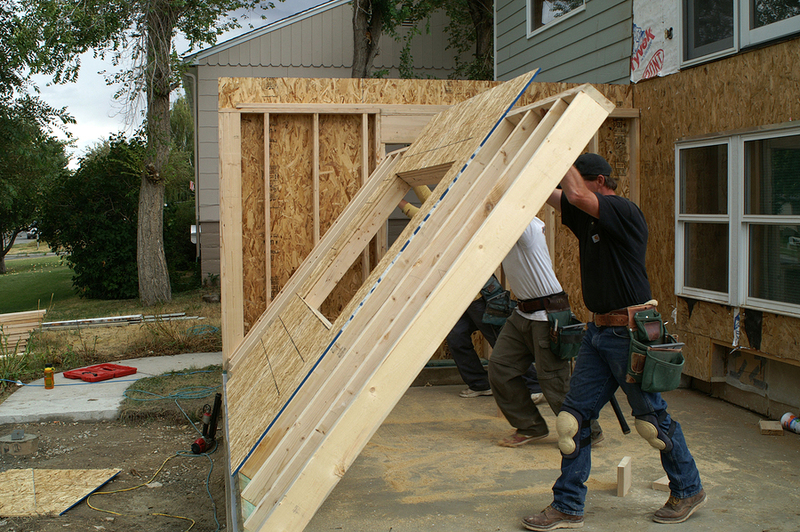 We’ll provide a free evaluation of your project and an estimate. Call 978-423-6051 today to discuss your project insulation needs. Then you can decide if it’s cost-effective to subcontract this work and leave yourself free to work on other items. Reliable Truss and Components, a division of National Lumber, has in-house design and engineering departments to work with you every step of the way from your initial quote to the final delivery of your product. When it comes to wood and steel trusses, structural components and custom prefabrication, our experts here at Reliable Truss have the ability to offer our customers efficient project coordination and higher quality and more feature-rich products than offered by our competitors. Our innovative processes allow us to provide exceptional service from “under one roof”. “I wanted to extend my personal thanks to you and the rest of the folks at National Lumber and Reliable Truss for that fantastic tour. I found it to be a very valuable learning experience. While I was generally familiar with metal plate wood trusses, watching the actual manufacturing was quite an experience. I was very impressed by your plant and also by the sophistication of the MiTek software. Previously I was not aware how extensive a capability existed for pre-fabbing wall and floor sections. Again, the machinery and your plant were very impressive. For me the Alpine steel trusses were a complete revelation. In the past I had done some work with light structural steel trusses (angles, tees, and gussets), but these light gauge steel trusses are definitely something to look for a way to use. Thanks again.” Thomas J. Vaughan Jr, P.E., GSC Engineering, Inc.
Our sales team is exceptionally versed with industry knowledge, and is here to assist you with choosing the components you need for your project and making sure your delivery is on time. Our registered engineers have the expertise to design the components you need for your project, all the while considering our environment, by practicing green building methods to minimize waste. The Reliable Truss facility is state-of-the-art, with fully integrated building industry modeling software to high production automated equipment, allowing us to provide customization and additional solutions to our customers. In everyone’s life, one hopes for a mentor to share wisdom and provide motivation to become our best. The Remodeling Industry was fortunate to have such a man providing leadership on a wide scale, and his influence lives on in ways that some may not even realize. On February 18th, 2013 Walt Stoeppelwerth passed away. 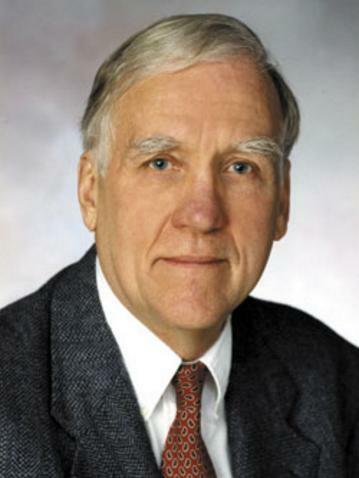 Walt was the President of HomeTech Inc in Bethesda, MD for over thirty years. Walt helped shape the Remodeling Industry through his teaching and writing as a columnist with Remodeling magazine. He was a visionary with a unique ability to identify, fully understand and solve existing as well as future challenges within the industry. He would share his observations, speculate on the likely consequences if the challenges were not addressed, and suggest or predict the solutions he felt would address the challenges. His brilliance was his ability to then create and provide the required solutions, and, through his consulting, direct others who wanted to participate in making the evolution happen. His business model was not reactive to the perceived and often misguided needs expressed by remodelers and industry partners, but rather proactive in creating and providing the solutions and the guidance remodelers and industry partners really needed to improve and foster true success. In summary, Walt had the intimate knowledge, insight, creativity, resources, contacts, relationships and solutions to change the industry and cause tremendous social benefit at the same time. When people feel better about themselves and their businesses, they listen and seek for more of what helped them. Additionally, many then share what they have and know with others with the hopes that they too will benefit. Walt was a master at setting that example and making it happen for so many remodelers.